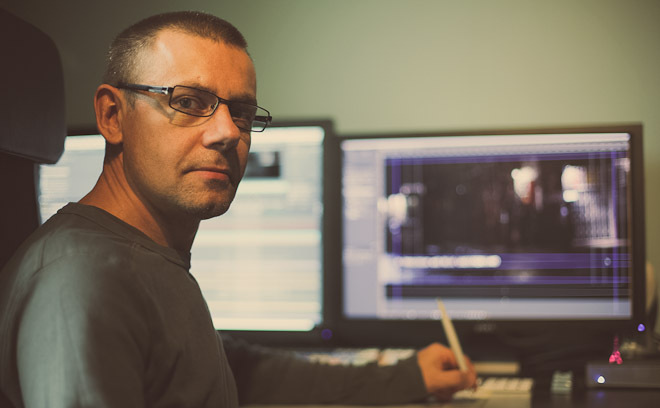 Laurent Brett is a main title designer and post-production supervisor. He studied global communication at French high school EFAP Image in the ’90s and quickly found a post-production supervisor job at Bandits Production, led by Jean Baptiste Mondino. After four years there, he stepped away to pursue freelance work as an editor, director, digital compositor, and post-production supervisor. His work in main title design began with director Florent-Emilio Siri’s The Nest, for which he was also the visual effects supervisor. Their next collaboration for Hostage cemented his move to the world of main title design and since then, he has designed the titles for over 25 films. After leaving Sabotage Studio in Paris in 2013, he created his own studio Brett & Cie.